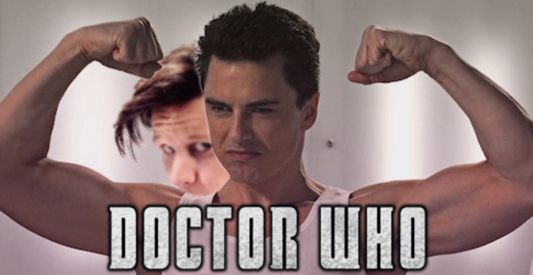 For as long as the time John Barrowman first arrived in Doctor Who, he’s gathered an incredible cult following as the charismatic omnisexual Captain Jack Harkness. Having been in several episodes of modern Doctor Who as a companion and an ally, and remaining one of the main characters of spin-off Torchwood, many fans have questioned whether he would be returning for this year’s 50th Anniversary special. The answer, right now, at the time of writing is: maybe. Well, better than maybe. In reality, it’s a good chance that he will be involved. Speaking in an interview on UK television show This Morning, Barrowman spilled the beans that he is now in discussions for appearing in the Doctor Who 50th Anniversary. Whether you like or inexplicably loathe Russell T. Davies, you have to admit that the man expanded the world of Doctor Who, working to fill it with a roster of unforgettable side characters like Rose, Jackie Tyler, River Song, The Doctor Donna, Wilfred Mott, Mickey, Martha Jones, and Captain Jack. Davies didn’t just let these characters roam though, he serviced them and made us care and even long for their return appearances. Doctor Who, in the time of Steven Moffat, has not similarly excelled in this area. Oh sure, the love story of Rory and Amy will be written in the stars and spoken about for the whole of time (or something), and Moffat has more fully realized (for better or worse) River Song, his creation, but they don’t seem right for a spin-off and for the most part we only get snippets of other, smaller characters who we would love to get to know more. 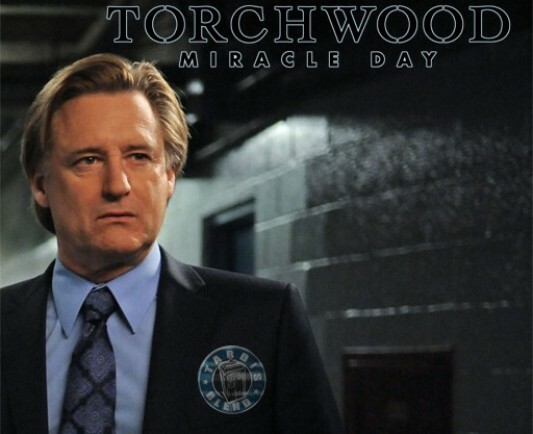 Torchwood: Miracle Day continues and finds our heroes separated across the world, until one chance meeting with Oswald Danes (Bill Pullman) forces the team to reunite and begin to ask the tough question: What is The Blessing? As they dig deeper, their questions will take them to separate poles of the Earth where they discover that the blood of Jack Harkness (John Barrowman) may have more to do with The Blessing and The Miracle than they previously had thought. During TARDISblend 36, we review the events of The Gathering, and find ourselves less than enthused about the episode’s inclusion of elements unconnected to the Blessing and the Miracle, such as the Nazi-style Welsh police trackdown of Gwen Cooper’s (Eve Myles) father, Geraint (William Thomas). Later, we deconstruct Oswald Danes’ arrival in Wales to confront Gwen, another aspect of the episode that felt somewhat out of place. We also discuss the significance of Jack’s blood thus far in the series, and speculate with some predictions on where this thread will go for the season finale. Finally we throw in a few Classic Torchwood UK recommendations for new fans to check out, and find out what our listeners recently had to say about the podcasts. All this and more on the latest TARDISblend! 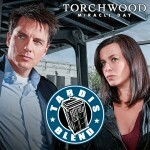 Torchwood: Miracle Day reaches into exciting revelations, as Captain Jack Harkness (John Barrowman) and his Torchwood team begin discovering answers to the Miracle, stemming back almost a hundred years, and connected to his previous relationship with Angelo Colasanto (Daniele Favilli). But while the new Torchwood join forces with the CIA, Harkness unearths some surprising alien technology when they find out there is one other man who can face mortality as the rest of humanity deals with being immortal. During TARDISblend 34, we review the events of End of the Road, examining how Jack Harkness himself is at the center behind the cause of Miracle Day. Meanwhile, we examine the new character developments of Jilly Kitzinger (Lauren Ambrose), and deconstruct how Oswald Danes (Bill Pullman) could be more connected to those who caused the Miracle than we previously thought. Torchwood: Miracle Day continues, as the team work their way out of the Overflow Camps to get word out to the world of the horrific consequences of becoming a “Category One Patient”. Meanwhile, Captain Jack Harkness (John Barrowman) continues his investigation into those behind Miracle Day. Later, events transpire that pit Jack against Gwen Cooper (Eve Myles), while we discover more secrets behind the Miracle as Jack remembers dangerous choices from his past. During TARDISblend 33, we review the events of The Middle Men and Immortal Sins, we discuss the surprising appearance of Mr. Winston Ghostbusters himself, Eddie Hudson, and the wonderful exposition scene he shared with John Barrowman. Torchwood: Miracle Day continues, as we find the governments of the world re-categorizing life. Gwen Cooper (Eve Myles) returns home to Wales to investigate the segregation of the ill and the injured into Overflow Camps, while the rest of Torchwood is joined by Doctor Vera Juarez (Arlene Tur) to investigate the American camps, under the guidance of Captain Jack Harkness (John Barrowman). During TARDISblend 32, we review the events of The Categories Of Life, in which we drill down into many criticisms we have of the episode in addition to the series as a whole. We comment on Gwen’s return to and mission in Wales, and discuss the pivotal moments for the character of Vera Juarez during the episode. Performances seemed a little off this time around, and even Bill Pullman wasn’t up to his usual best. We also look at some past Torchwood episodes, and make some new recommendations for some of the new fans out there. 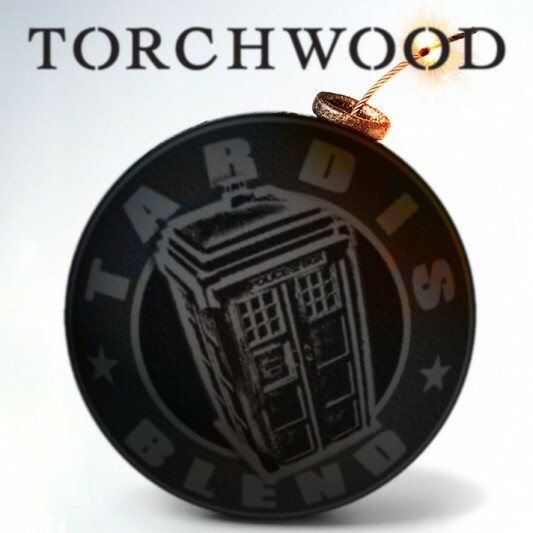 After a short break, the TARDISblend is back, as we take a look at the news for Doctor Who and Torchwood that came out of San Diego Comic-Con, and look at the most recent episodes of Torchwood: Miracle Day. We cover the major news and information revealed to fans at San Diego Comic-Con 2011. From details about upcoming Torchwood episodes, to the big news revelations for Doctor Who, we discuss it all! 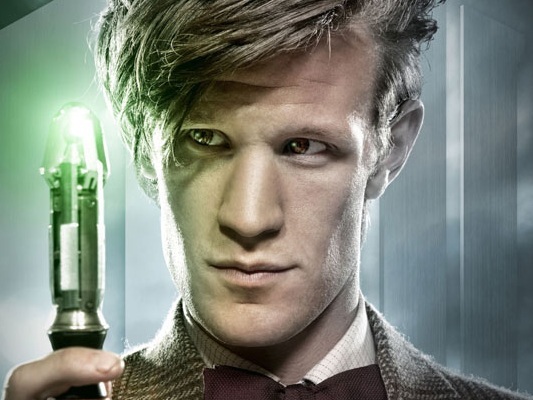 Additionally we take a look at Matt Smith‘s appearance on the Craig Ferguson Show; and examine what may happen if Toby Jones returned as the Dream Lord. As Miracle Day continues, the CIA team have captured the remaining members of Torchwood, Captain Jack Harkness (John Barrowman) and Gwen Cooper (Eve Myles). However, the CIA have turned against their own, attempting to wipe out any remnant of Torchwood, and Rex Matheson (Mekhi Pfifer) and Esther Drummond (Alexa Havins) find themselves uniting with the ones they have captured. Cast members from Doctor Who spin-off Torchwood shared their thoughts on the new installment of the series Miracle Day currently airing on BBC and Starz during a panel discussion Friday at the San Diego Comic-Con. John Barrowman, who plays the show’s star character Captain Jack Harkness, said he was delighted when he heard the news that Starz had picked up the show for another season. The actor told fans his character may have a possible love interest in episode 7 of the new series. 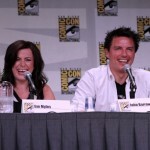 Continue reading for more, as well as a video from the panel and a special Comic-Con preview of Torchwood: Miracle Day. The TARDISblend returns for the premiere of the first episode of Torchwood: Miracle Day, where the world is facing perhaps its most unusual threat ever: global human immortality. Without explanation, dying ceases to occur among humans on Planet Earth, causing everyone to be immortal – threatening global peace, access to resources, and additional population explosion problems. During TARDISblend 30, we review the events of The New World, the beginning of the 4th series of Torchwood, this time crossing the globe from the UK and into the United States. We discuss what the events of Miracle Day hold for our main hero, Captain Jack Harkness, in a twist that the character will find quite challenging.